Here is another great organizing tip from Jen at IHeart Organizing. I just love her site! Have you visited her yet? If not, you need to spend some time over at her fabulous blog. 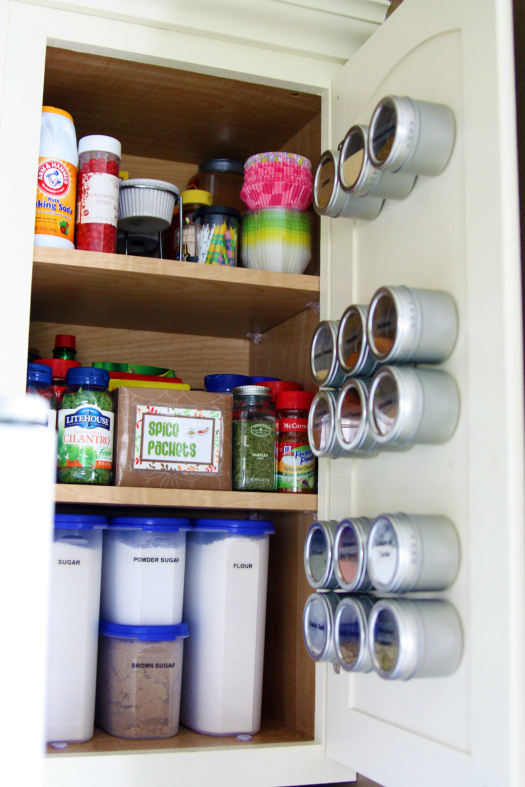 She shares on her blog how she organizes her kitchen spices. This is such a great use of space! This project is super simple, and you can see how she did it HERE.